The restaurant you inherited has been going pretty well, already employing many acclaimed chefs and serving the elite of fine dining due to your commitment, professionalism and hard work! But now, with the rise in demand of the customers, come new necessities that you need to accommodate, with quality pastry-making being number one priority! Are you going to live up to your restaurant’s reputation and provide fine desserts to your customers? 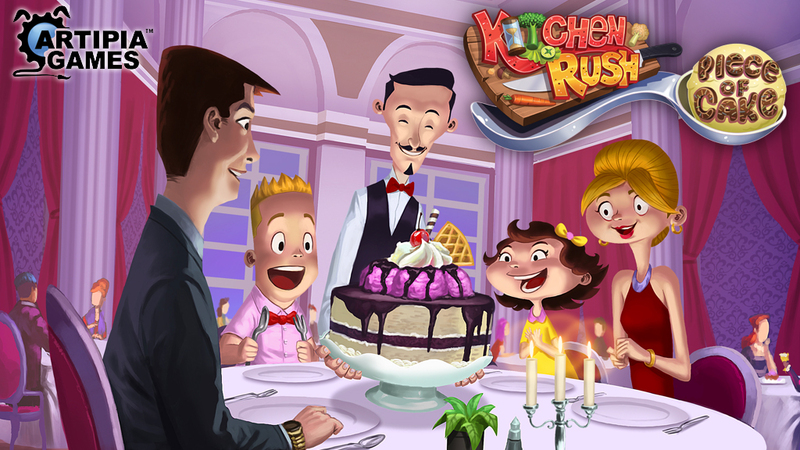 Piece of Cake is an expansion to Kitchen Rush (http://www.artipiagames.com/kitchen-rush/) that adds desserts to the game! Prepare delicious cakes, sweet pies and tasty ice-creams! It also allows you to call in Specialists to help you in the Kitchen using the new hourglass included.